The use of bee products like honey and pollen for health purposes is called apitherapy. A growing trend in the beauty and nutrition industries, apitherapy may reduce inflammation, fight disease and more. Bee pollen is a mixture of flower pollen, wax, bee saliva, nectar and honey. Often sold as a nutritional supplement, bee pollen contains beneficial compounds that support overall wellness. We know it helps flowers burst into bloom, but how can bee pollen keep you healthy? Bee pollen is extremely nutritious. The precise nutritional breakdown of bee pollen varies depending on the type of bee, the plants they pollinate and the amount of water present in the pollen. Generally, at least 200 biological substances are present in bee pollen (x) (x). Because it’s incredibly nutrient-rich, studies have shown bee pollen supplementation treats malnourishment in animals, and potentially in humans (x) (x). Bee pollen contains antioxidant plant compounds called flavonoids. Antioxidants get rid of harmful molecules in the body called free radicals, which can lead to signs of aging and disease. The plant compounds in bee pollen also make it a potent anti-inflammatory. In fact, bee pollen may almost be as effective as nonsteroidal anti-inflammatory drugs. Studies show it can help reduce acute and chronic inflammation associated with conditions like arthritis (x). It may even relieve pain, especially in the joints (x). Elevated cholesterol levels are a serious risk factor for cardiovascular disease (x). Studies show that bee pollen may lower total cholesterol levels. In one study, 20-30 percent of patients with atherosclerosis (plaque in the arteries) that did not improve with drugs did see improvements in their cholesterol levels with bee pollen (x). Bee pollen may also offer additional protection from the effects of high cholesterol by reducing the rate of lipid oxidation (x) (x). In other words, it helps protect arteries from damage in the presence of high cholesterol. Your liver is your body’s detox center. 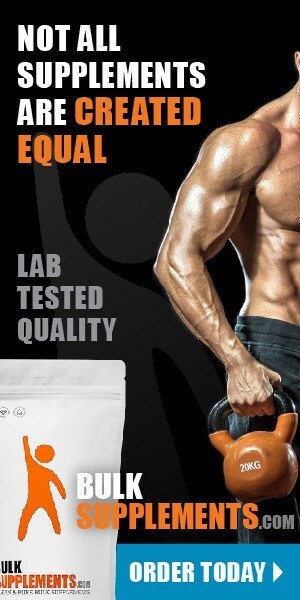 It flushes out your system and keeps your body healthy. But sometimes, your liver itself needs to be detoxified. Here’s where bee pollen comes into play. Animal studies have demonstrated that bee pollen benefits your liver by protecting and repairing it from toxic effects of certain chemicals (x). These findings are particularly applicable to those working in or around certain industries that produce heavy metal contamination and industrial gases and dusts. The findings on detoxification may also be relevant to those on certain anti-inflammatory and antibiotic drugs (x). When applied topically, bee pollen could help heal burns and prevent infection. Silver sulfadiazine (a topical antibiotic treatment) is often used for this purpose. In one study, researchers compared the use of topical bee pollen to silver sulfadiazine. They found that bee pollen healed wounds faster and killed bacteria more effectively than traditional burn ointment (x). And bee pollen doesn’t only heal wounds; it may improve circulation, seal blood vessels and reduce swelling around the site of a wound (x). It sounds counter-intuitive. Pollen causes allergies; how could it possibly relieve allergies? Here’s how it works: a compound called histamine often triggers the symptoms of allergies and allergic conditions. Your body releases histamine in response to a perceived threat, like allergens. Bee pollen may reduce the release of histamine, stopping allergies in their tracks (x) (x). 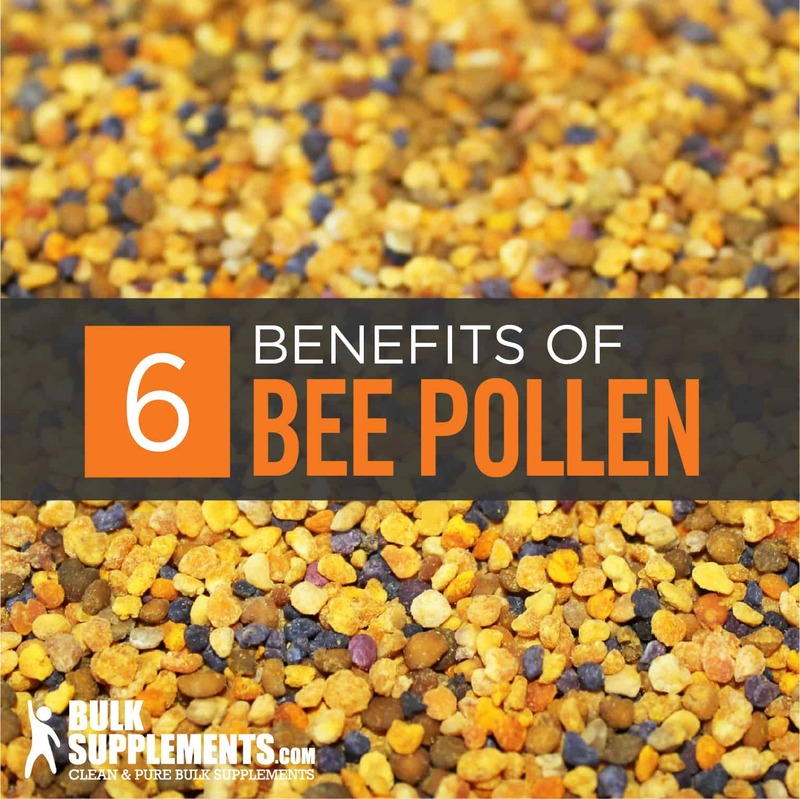 Many people safely use bee pollen to reduce the symptoms of allergies or allergic conditions. Here’s the catch, though — sometimes those with allergic reactions are also allergic to bee pollen. If you have any concerns about how you might react to bee pollen, it’s best to consult with your doctor. Bee pollen can help keep you healthy thanks to its ability to inhibit the growth of several kinds of bacteria and fungi. Studies show that it may kill staph infections, e.coli, candida, and pneumonia (x). Bee pollen can also help improve resistance to pathogens, chemicals and stress, thereby supporting your immune system (x) (x). While research continues, early studies suggest bee pollen may help prevent cancer, This is in part due to its antioxidant functions, as well as its ability to fight tumor growth (x) (x) (x). Additionally, bee pollen may alleviate symptoms of cancer treatments. Because of its detoxifying properties, bee pollen could reduce the toxic effects of some types of cancer drugs (x).For example, women receiving anti-hormone therapy for breast cancer experienced an improvement in treatment side effects when taking bee pollen (x). Ancient Egyptian, Greek and Chinese civilizations extensively used bee pollen for medicinal purposes. Bee pollen grew in popularity as a medicinal product after World War II. People took it to treat everything from anemia to depression. Bees store pollen in “baskets” within the chambers of bee hives. The study of bee pollen by modern Western standards is in its early stages. There are many types of bee pollen, all of which differ slightly. So far, most studies examining the health benefits of pollen have only been conducted in test tubes or on animals. As a result, recommendations on how to take it vary from one source to the next. Bee pollen supplements come in small granules that can be sprinkled on foods or added to smoothies. Ointments and liquid extracts are also available, or you can take pollen pills and capsules. Bee pollen powder is another option that is easy to add to your meals or drinks. If you opt for the powder, As a dietary supplement, take 1,000 mg (rounded ½ tsp) up to three times daily with a meal, or as directed by your physician. Women who are pregnant or nursing should not take this product. In addition, bee pollen powder may cause increased bleeding if taken with blood-thinning medication. Always talk to your doctor before taking any new supplements.